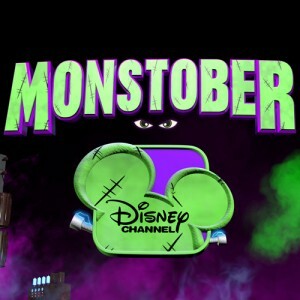 The cast of Disney Channel’s new live-action series “BUNK’D” will host “Monstober,” the channel’s month-long Halloween celebration, beginning THURSDAY, OCTOBER 1st 2015. The programming event includes the premiere of the Disney Channel Original Movie “Invisible Sister,” FRIDAY, OCTOBER 9 (8:00 p.m., ET/PT), a “Descendants” Mal-oween marathon and Halloween-themed episodes with a twist. Disney Channel stars will swap series as guest stars on each other’s sitcoms, making appearances at the same haunted house in New York City for the big Central Park Spooktacular celebration, with a masked mystery character appearing in each telecast. Throughout the month, fan-favorite Halloween movies will be presented. Some of them include “Halloweentown,” “Halloweentown II: Kalabar’s Revenge,” “Twitches,” “My Babysitter’s A Vampire,” and the “Monstober” premiere of Disney·Pixar’s “Monsters University” on SUNDAY, OCTOBER 11th (8:00 p.m., ET/PT). 9:25 pm – “Mickey Mouse” “Black and White” – Mickey attempts to save face in front of Minnie after he’s scared as white as a ghost.